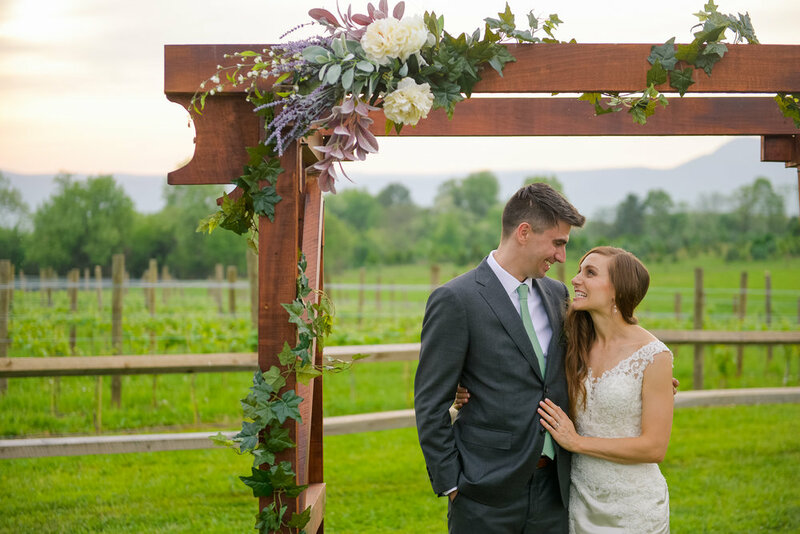 One of the most romantic weddings I’ve ever been to was definitely Janna and Mike’s big day at Faithbrooke Barn and Vineyards in Luray, Virginia. I was invited to assist 88 Love Stories as a second photographer to James and we had a picture-perfect day. From Janna’s gorgeous dress to their soft and romantic floral arrangements, the panoramic view of the Blue Ridge Mountains to the string lights hung in their updated barn wedding reception, everywhere you looked there was beauty to match the feeling of true joy and love between Janna and Mike and their families.